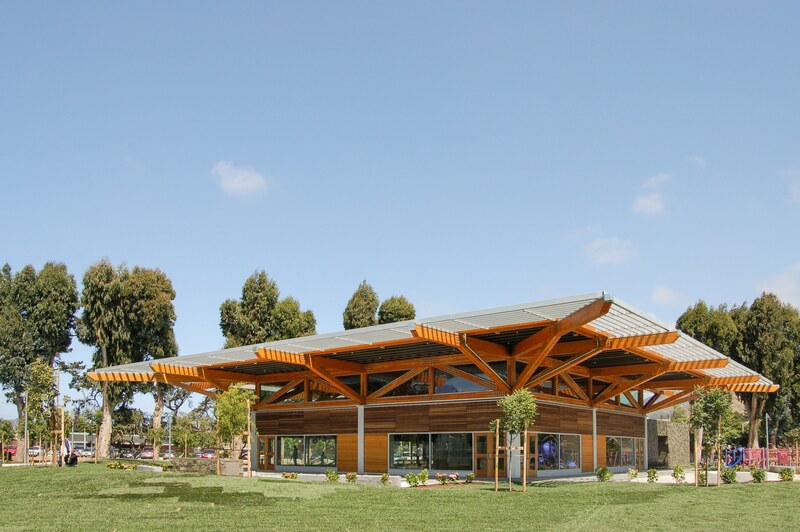 This structure houses a 3600 sf high-roof multi-purpose space and a 2400 sf wing for administrative offices, kitchen, toilet room, and other support spaces. 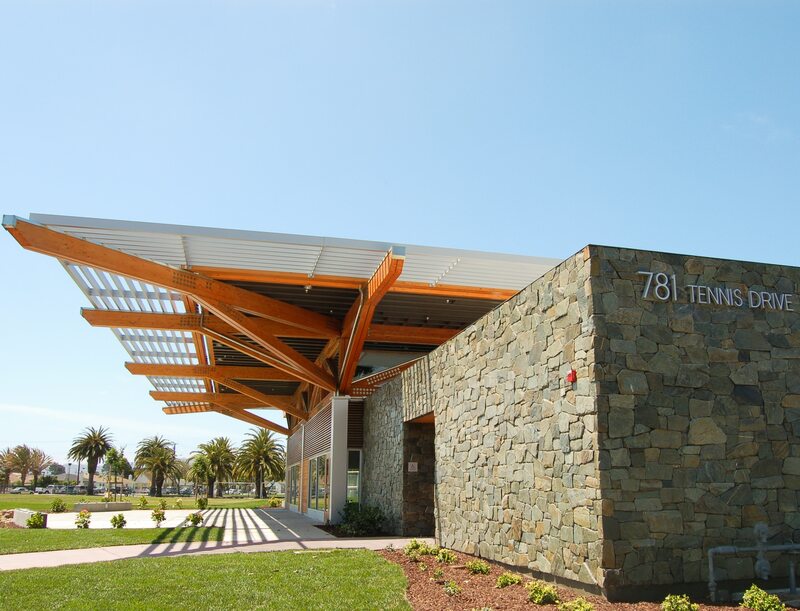 The additional 10,800 sf of space outside of the building façade sheltered by a cantilevered roof and trellis make this building unique and well suited for the mild climate of South San Francisco. 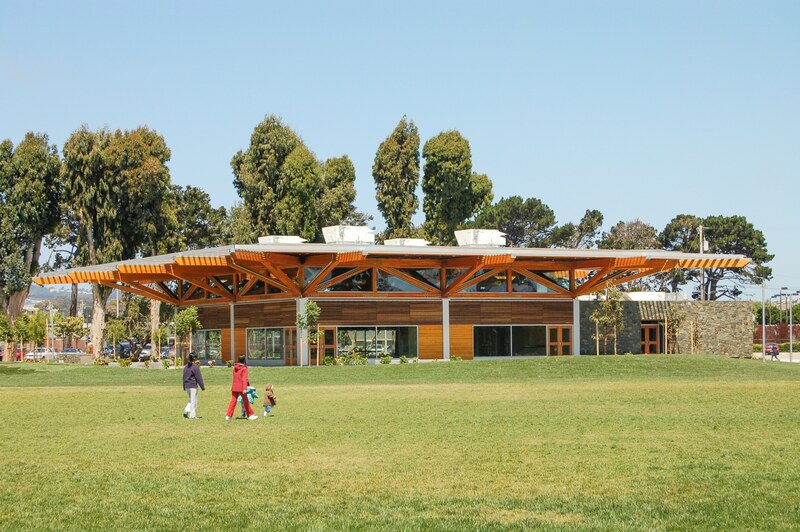 Through carefully conceived detailing, double member trusses provided an opportunity to hide plates and other hardware leading to clean connections that appear simple and elegant to the observer. Special connections were developed at the center truss node to provide two way truss action and framing redundancy. CMU shear walls at the multi-purpose space extend only to the bottom of the perimeter trusses allowing uninterrupted daylight to flood the multi-purpose space at the truss level as it filters between perimeter truss web members.